For accurate and sterile administration of medicines, our 50ml Catheter Tip Syringe offers high-quality performance for all medical professions. With a high capacity of 50ml, this easy to function syringe allows the user to administer gradual and controlled dosages while the clear, plastic casing shows a visual marker of the dosage needed. The tip is compatible with probes or other tubing and the entire body has been crafted with photosensitive drugs in mind - preventing approximately 90% of light rays between 290 450 nm UV wave length. 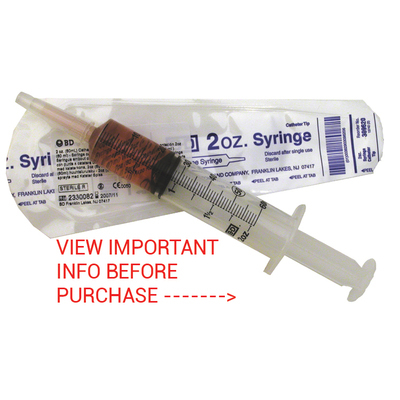 Approved for use with all other leading brands of syringe-driver, each comes pre-sterilized and packaged individually for single and hygienic use. Gompels stock a wide range of Needles and Syringes to suit your every need including Leur Lok and Leur Slip syringes in a variety of different capacities.